The demand for chatbot technology has grown exponentially in recent years largely because these systems have proved to be so successful at answering customer enquiries without them needing to phone through to a customer service employee. As such, not only do chatbots lower staffing costs but they free up time for other business tasks. Customers like using them, too. At Brandon Cross we offer custom chatbot development that aligns with your business goals and web infrastructure. Computational and comparative logic is at the heart of how many chatbot systems work. However, they only function well when the system has sufficient data to answer questions about your industry niche. As such, bespoke chatbots are required for many sorts of enterprise. Far from being a ‘me too’ offering, fully customised chatbots add value to the customer experience while allowing them to differentiate between your business and another by promoting your USPs. Bear in mind that contemporary chatbot technology is not simply there to answer potential client’s questions when they hit upon one of your website’s landing pages – although this is an important part of what they do. Chatbots can also be deployed to obtain crucial market data on your behalf. You can use them to garner feedback about a customer’s experience so far, for example. Equally, they can be used for scheduling, the very thing for enterprises which rely on appointments to run smoothly. Custom chatbots can be turned into technical support assistants, too, if wanted. For example, you can use them to fault find and troubleshoot for you in a post-sales support environment. At Brandon Cross, we have the know-how to help you with all of these sorts of chatbots and many more. 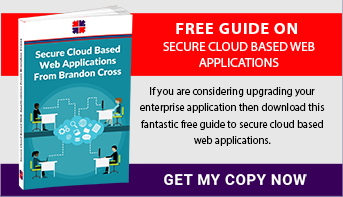 Take a look at our guide – Secure Cloud Based Web Applications – for more information. It is free to download and will inform you of how chatbot technology sits within the wider world of cloud-based applications. Alternatively, please get in touch directly by phone.